Successful projects often hinge on how close you can get to either your vision or the vision of your client (if you are making a cake for someone else). Color plays a huge role in this process and most people have very specific likes and dislikes about the shade of icing they wish to see on their cake. There are so many different products available to achieve very specific colors for icing from plain food coloring to gel colors as well as luster dust for more subtle shading. 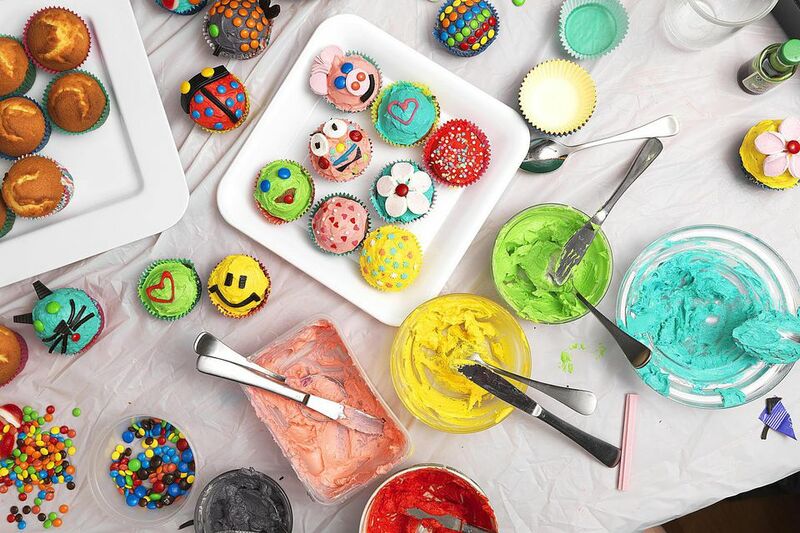 Plain food coloring used to be the only choice for tinting icing and many cake designers have fond memories of leaning over a bowl of buttercream as a child carefully dripping the different colors. You really had to take care not to drip it anywhere else though because this type of coloring stained everything! It used to come in a pack of four little vials (red, yellow, blue and green) which was found in the baking section of most supermarkets. This type of coloring agent is still very popular especially since the food network came out with a "Frost by Numbers: How to Make Frosting Colors" chart which uses only this type of food coloring in the four base colors to produce a rainbow of shade options. The chart can be found below and of course in the May 2012 issue. It shows the number of drops required from each base color to tint one cup of icing.